We’ve all stolen things from work—pencils, pens, maybe a notebook—but this Foxconn employee went a little too far. According to AsiaOne, a former senior manager at the world’s largest electronics maker and assembler was charged with stealing and selling 5,700 iPhones for a value of about $1.56 million. The Taiwanese manager, who is identified by his surname Tsai, worked at Foxconn in the testing department. He instructed eight employees at the factory located in Shenzhen to smuggle thousands of iPhone 5 and iPhone 5S handsets, according to the prosecutors. The phones taken by the thieves were made specifically for testing—not sale—and were intended to be scrapped once Foxconn was done running tests on them. 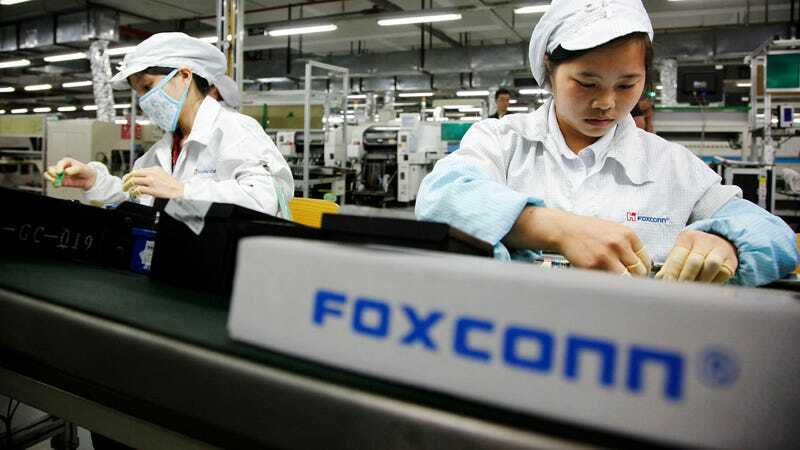 Of course, a major operation like Foxconn has a system to account for their test phones and the criminal operation was discovered after an internal audit. Sad day for the thieves. Ringleader Tsai has been charged with breach of trust and will serve a maximum of 10 years in jail if found guilty. It’s a steep price to pay, especially for a bunch of outdated phones. Moral of the story: Don’t steal millions from the company you work for.